Geely Automotive Holdings continues to be one of the world's most rapidly expanding car makers. 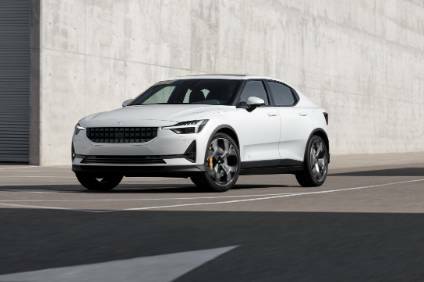 After just-auto's recent features looking at the future models of Geely, Geely Emgrand, Terrafugia, Zhi Dou, LEVC, Lynk & Co and Polestar, now comes a gaze into the crystal ball at what awaits Volvo Cars. One of the two replacements for the V40 will be the S40. A rival for the Audi A3 sedan, it should be built in China and Belgium. Volvo is said to be planning several B segment/Sub-compact models. V20 is the most likely model name for an entrant in the Audi A1 Sportback segment. To be built on B segment Modular Architecture (BMA), Geely would use this same platform - a shortened version of the Compact Modular Architecture (CMA) - to replace a variety of current small cars and add others for Volvo. More details, including the V20's project code and powertrains can be found in PLDB (see link at the bottom of this feature). Y555, the V40, now six years old, is Volvo's smallest model. It is now close to the end of what has been in effect a much longer life: this five-door C segment hatchback was evolved from the former C30 which was developed during the Ford ownership years. Production for Europe and most other global markets is in Belgium. The V40 is not sold in the US or Canada; nor is the closely related Y556 (V40 Cross Country: see Crossover & SUVs below). One of the two replacements for the V40 will be the S40. A rival for the Audi A3 sedan, it should be built in China and Belgium. There should also be an S40 Polestar high performance variant. This would be a rival for the Audi S3 sedan and the car itself might be a PHEV, in which case it would logically be called S40 T4 Twin Engine. The Luqiao plant, which is owned by Zhejiang Geely Holdings but operated by Volvo Cars, will make not only Volvo's next range of 40-series CMA-based cars but also CMA-based models for Lynk & Co.
Y283, the outgoing S60, was for years built at both of Volvo's European plants. Due for the need to manufacture more XC90s at Torslanda, production of the S60 was stopped there in September 2015. Production continued at Ghent in Belgium until June. Chengdu is now the only plant manufacturing this shape S60 and only in extended wheelbase L form. This should continue for 12 months or even longer: a new S60L isn't due to appear until perhaps the second half of 2019. Gestamp Automocion, the metal-stamping Tier 1 which supplies BMW's plant in nearby Spartanburg, will provide body panels for the S60. Unlike previous generations, V431, the new S60, will not be built in Europe. The standard wheelbase model is instead about to start being manufactured in the USA, while the next S60L will be made in China. The car was revealed at an event in South Carolina in June. Series production commences on 27 August, with a second shift due to be added in 2019. VCC's Ridgeville plant in South Carolina's Berkeley County is for Scalable Product Architecture (SPA) vehicles only. The S60 is the first of two models due to be built there within the next three years. The future XC90 will be the other one. The big SUV will be added in 2021, taking the factory's annual combined capacity to 150,000 units. 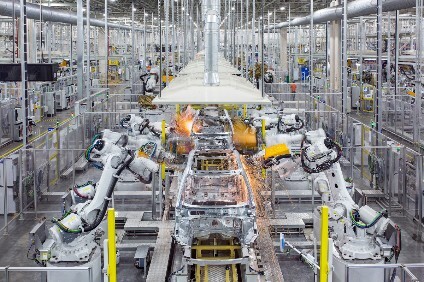 As for suppliers, Volvo told the media touring the plant's site in April 2017 that it expects roughly 40% of parts will be sourced from within North America. Gestamp Automocion, the metal-stamping Tier 1 which supplies BMW's plant in nearby Spartanburg, will provide body panels for the S60. The OEM has also signed supply contracts with Continental (tyres), Plastic Omnium (bumpers), Autoneum (carpet and insulation) and Lear (seating). The local content of vehicles coming out of Ridgeville will be 55 to 60 per cent, mainly because engines are sourced from Sweden. The company has stated that it would have to be building 300,000 vehicles annually at Ridgeville to justify adding an engine production facility in North America. The new S60 itself will be produced for between six and seven years, which means a facelift in late 2021 and a replacement around mid-2025. V432, the new V60, was revealed at the Geneva motor show in March. The car uses SPA, which replaces the Ford-derived EUCD platform. There are not one but two plug-in hybrid powertrains - see the Electrified section below. In the USA, the V60, new for the 2019 model year, will be available with a T5 front-wheel drive Drive-E powertrain with 250hp, and a T6 all-wheel drive Drive-E powertrain with 316 horsepower. 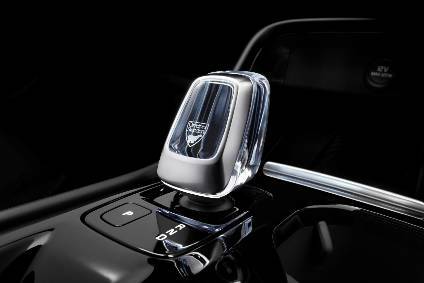 Both will have an eight-speed automatic transmission. US deliveries are not due to commence until March or April 2019. In Europe and certain other parts of the world, the diesel line-up includes so-called 'D3' and 'D4' engines. The V60 will have a facelift in 2022 and be replaced in early to mid 2025. There is no S70, V70, S80 or V80 so the next model up in the sedans, estates and/or hatchbacks line-up is the S90. This big sedan, which replaced the S80 in 2016, is larger, more expensive and more adventurously styled. Production was initially in Sweden but this has since been shifted to China. The V90 Cross Country (see below), which replaced the XC70, is closely based on the V90. Two versions of a long-wheelbase S90 had their world premiere at the Guangzhou motor show in November 2016. These cars, which measure 5,083mm, are built only in China and there are exports to the USA and Europe. LWB cars for the Chinese market went on sale in December 2016. A successor for the S90 is due in 2023 but first there will be a facelift for the existing V541 and long-wheelbase L541 in 2019. The two variants are the S90 Long Wheelbase and a three-seat car called the S90 Excellence. The latter has the front passenger seat replaced by what Volvo calls a 'Lounge Console'. This means a chauffeur-driven passenger may either stretch out or work. The S90 was the first vehicle to have what Volvo calls semi-autonomous drive (semi-AD) fitted as standard. 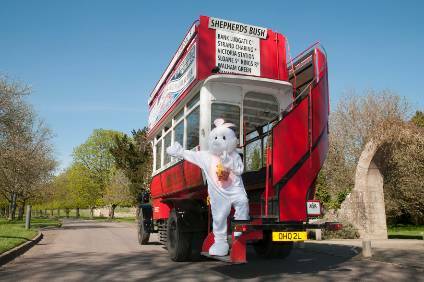 It is able to accelerate, brake and steer at speeds up to 80mph, without needing a car to follow in front. V542 is the replacement for the V70. It changed names to V90, reflecting the fact that it is the wagon version of the S90. The car had its public debut at the Geneva motor show in March 2016. Production commenced at Torslanda three months later, with the first examples in European showrooms from August 2016 and in North American ones during 2017 for the region's 2018 model year. In the USA, the V90 is available for special order only though this may change if the vehicle starts to sell in more than the expected small numbers. A mid-cycle styling update should take place in 2019 or 2020 with a replacement due out in 2023. XC20 is said to be the most likely model name for a future small SUV based on BMA. The development code and more details can be found in PLDB, just-auto's current and future vehicles database (see end of this article for a link). Engines for the XC20 would include Volvo's 1.5-litre three-cylinder petrol unit as well as a forthcoming 1.0-litre derivative. There will not be any diesels. The smallest existing Volvo SUV is the 4,425mm long XC40. It is intended to be a rival for the Mercedes-Benz GLA-Class, Audi Q3, Range Rover Evoque, BMW X1 and Jaguar E-Pace. Series production commenced at Ghent last November. Production should also take place at Luqiao. No start of production date has been announced for that factory. The XC40 will likely have a mid-life restyle in 2021. The second generation XC40 isn't due to go on sale until 2024. The V40 Cross Country is similar in size to the XC40 but it is more of a crossover than an SUV. It has been far more successful than one of its only rivals, the rarely seen Infiniti QX30. The CC, which is more or less a V40 with raised suspension and some tough-look external modifications, had its world premiere at the Paris motor show in September 2012. It is built alongside the V40 in the Ghent plant. Mexico is only market in North America where the V40 CC is sold. A second generation V40 Cross Country is said to be in the final stages of development. Due for release in 2019, it will use CMA. A theoretical XC70 would likely not be released until the second half of 2021. It would use the same evolution of SPA as the third generation XC90. There has been some speculation that Volvo is developing yet another SUV and that it will be positioned above the XC40, sharing that model's architecture. The XC50 can be thought of a potential push into the segment created by the Range Rover Evoque. Market release is rumoured for the third of fourth quarters of 2020. The SPA-based second generation XC60 had its world premiere at last year's Geneva motor show. As Volvo told the media in November 2016 that Ghent would in future build only CMA vehicles, the latest XC60 is instead built at Torslanda. Series production at the Swedish plant commenced in April 2017 and build in China commenced in December with the T8, which has a PHEV powertrain, added in April (see Electrified section). The V426 series model is 45mm longer, 100mm wider and 55mm lower than the first generation XC60. Volvo Cars is said to be investigating the potential of erecting an SKD or CKD plant in Russia, with the XC60 likely to be its first vehicle. That may not happen until 2020 or 2021, which is when the model is due for a facelift. The third generation XC60 will be released in 2023 or 2024. Its platform will be an evolution of SPA, as debuted by the next XC90 - that model will be on sale in 2021. There are two numerical gaps between the XC60 and XC90. Volvo might not just bring back the XC70 model name and create an XC80 though. What could also happen would be taking the next generation XC90 up a size and pricing it to compete with the next Mercedes GLS-Class and Range Rover. That would mean not only even higher margins for the firm's largest SUV but room to position an XC80 below it. Such a model would be a logical competitor for the Range Rover Sport. A theoretical XC70 would compete with the Range Rover Velar. Such a vehicle would likely not be released until the second half of 2021. Its basis would be the same evolution of SPA as the third generation XC90. As for an XC80, this is probably as far off as the third or fourth quarters of 2023. Build of both would be manufactured in the USA and/or China. Torslanda, the company's production plant in Gothenburg, may miss out on these SUVs but engines would still be made in Sweden. Volvo is copying BMW's strategy of keeping unions in its country of origin happy by not (yet, at least) opening a powertrain plant alongside its South Carolina vehicle factory. At the moment, the only crossover between the current XC60 and XC90 is the V90 Cross Country. This, the replacement for the XC70, changed names to reflect it becoming the crossover variant of the V90 (V70 replacement) range. Production at Torslanda commenced in October 2016. A facelift is due some time between late 2019 and mid-2020 with the second generation V90 CC expected in 2023. That model will be based upon an updated SPA. It seems likely that Torslanda in Volvo's home city of Gothenburg will lose build of the XC90. Y289, the first XC90, was in production for 12 years. The second generation XC90 will be built for just six. Production of this 4,950mm long SUV commenced in January 2015 at VCG's Torslanda factory which is close to its HQ in suburban Gothenburg. V526 was the first vehicle for SPA and it is exclusively powered by Drive-E four-cylinder engines. The V8 and in-line petrol six were the first to go, followed by the petrol and diesel I5s. Now that all of VCC's larger engines have now been phased out, only the newer 1.5-litre three-cylinder and 2.0-litre four-cylinder Drive-E units remain. Volvo Group began CKD assembly of the XC90 at its Hoskote plant near Bangalore last October. VCG has its own assembly operations in certain other countries (e.g. Malaysia and Thailand too) and the plant in India is the only one belonging to the bus and truck maker which puts Volvo car kits together. A facelifted XC90 is due for release soon. That will be the last major update for this generation model. The third generation XC90 will probably exceed five metres in length and become even more more expensive. Volvo Cars should retain the model name though, as it is now well known the world over. VCG shocked many when it announced in September 2017 that the next generation XC90 would be in production during 2021. This means that the second generation model will have a six-year cycle of production, whereas the first one was built for twelve years. Production of the XC90 3 will be in the USA. Volvo has not said if this means that the model will not be built in Sweden too. VCC's announcement also stated that the US plant's capacity would be expanded to 150,000 vehicles per annum. It did not give the expected mix of S60 and XC90. It does seem likely that the Torslanda plant in Volvo's home city of Gothenburg will lose build of the XC90. An XC40 T5 plug-in hybrid and an XC40 BEV have been announced by Volvo. Only the first of the two has been seen. The E40 - a speculative name - will be the firm's first series production electric vehicle. The C30 Electric, built between 2010 and 2013, was technically the first battery-powered Volvo but given how few were made, it was not a series production model. This EV, which should be C segment sized, will be manufactured at Luqiao in China's southeast for local sales. It will also be exported. Other CMA Lynk and Volvo models are or will be built there. The 'E40' could well be a restyled XC40 and likely to be able to support battery packs of up to 100kWh in capacity. Whilst no month has been confirmed for Job 1, VCG says '2019' will be when the world will see the new EV. It should have a seven-year production life with intermittent updates or replacements for its cells modules as the cost of new chemistry battery packs continues to come down. An XC40 T5 plug-in hybrid and an XC40 BEV have been announced by Volvo but only the first of the two has been seen. It had its public premiere at the Beijing motor show in April but is yet to enter production. VCG builds a plug-in hybrid version of the long wheelbase S60 in China. The S60L T6 Twin Engine went on sale in China from April 2015. There is no availability in other markets. A replacement will enter production in 2019 and have a life cycle of seven years. There may be exports to the US, Canada and, possibly, certain European countries. Details of electrified versions of the new, US-built version of the S60 were recently announced. In May, VCC told the media that the car will not be sold with diesel engines. Instead, it will come with a range of four-cylinder Drive-E petrol and two petrol plug-in hybrid powertrains. Mild hybrid versions will follow in 2019. There may also be an EV variant but probably not until the time of the car's mid-life facelift in 2022. As noted in the Cars section above, the V60 was revealed at the Geneva motor show. Among the powertrain highlights are two PHEVs. The V60 T6 Twin Engine AWD petrol plug-in hybrid generates a combined 340hp, while the V60 T8 Twin Engine AWD petrol plug-in hybrid delivers 390hp. These cars will have a facelift in 2022 and be replaced in early to mid 2025. An EV which is due to hit the market in 2020 should be based upon V426, which is the XC60. There is also a plug-in petrol electric hybrid version of the second generation XC60, the XC60 T8 Twin Engine. This has the same 400hp supercharged and turbocharged 2.0-litre engine as certain other PHEV Volvos. A power upgrade to 314kW (421hp) is also possible. This comes with a Polestar Optimisation badge. As the development code is said to be E426, an EV which is due to hit the market in 2020 is expected to be based upon V426, which is the XC60. It could effectively be a plug-in, restyled, longer XC60 with seven seats. The model name could be EC60 or EC70. On the other hand, it may even be the same model as the provisionally named XC70 or XC80 (see crossovers and SUVs). That would be a logical way to justify the development costs: by pricing it at a high level, if not quite as high as the Audi e-tron and Jaguar I-Pace, two other pricey battery-electric crossovers of a similar size. 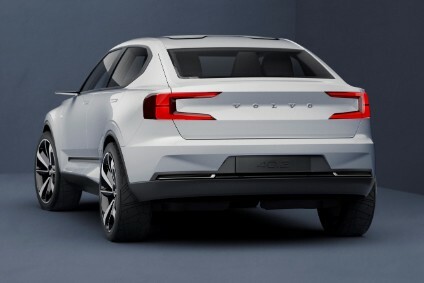 There is a plug-in hybrid version of the second generation of Volvo's largest SUV. The XC90 T8 Twin Engine has a petrol-electric powertrain and the compact size means an electric motor can be fitted in the front or rear of the vehicle. The battery pack is located in the centre of the car. This model can be a plug-in EV, hybrid, or high-performance luxury SUV. Normal driving is conducted in the default hybrid mode. This utilises a 1,969cc, four-cylinder supercharged and turbocharged petrol engine which powers the front wheels and an 87hp electric motor which powers the rear axle. Volvo claims that the supercharger fills in the bottom end of the power range to give the engine a big, naturally-aspirated feel, while the turbocharger kicks in when the airflow builds up. The motor on the rear wheels provides immediate torque. By pressing a button, the driver can switch to electric power and then, when needed, immediately revert to the combined capacity of the petrol engine and electric motor. As with other XC90s, the T8 should soon have a facelift to keep it fresh for a further not quite three years. After the third generation model goes in sale in 2021, a fully electric XC90 might be added to the line-up in 2022 as a competitor for the then seven year old Tesla Model X, which should be almost at the end of its life cycle. Much though depends on how this segment of the market develops. If potential battery-electric versions of the Audi Q7, Range Rover and BMW X7 either fail to be released due to a lack of potential demand, the e-XC90 might well be delayed or shelved. VCG probably doesn't need to make a final decision on this project for a year or two. A SPA-based vehicle for Uber might well be based upon the second generation XC90. Volvo Cars announced a JV with Uber Technologies Inc. in August 2016. VCG said it would develop what it terms a 'base vehicle' off SPA. This it will not only supply to Uber but also employ for its own AD model or models. The base vehicles will be manufactured by Volvo and then purchased by Uber. The companies are spending a combined USD 300M on the project. More details were announced last November. As per a press release, VCG will deliver 24,000 vehicles to the US-based firm between 2019 and 2021. Many in the media decided that the cars in question will be the Volvo XC90, even though neither Uber nor Volvo said this. Given that the third generation XC90 is not due for release until 2021, it would seem that the SPA vehicle for Uber might well be based upon the second generation XC90, which Uber has been using for testing. Certainly, this would be a boon for the XC90 production line, with the original model by then being in its final years of production and so otherwise likely to be losing the interest of car buyers who may prefer newer alternatives from other OEMs. 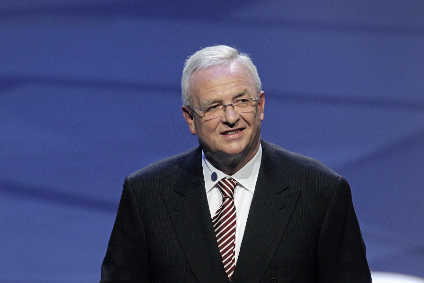 The final two car makers to be looked at in the Geely Automobile Holdings series will Proton and Lotus. This article will be published later in July. More detail on the past, current and forthcoming models for every division of Geely Automotive Holdings can be found in PLDB, the future vehicles database which is part of QUBE.